In recent weeks, reports in the Australian and international media have suggested Northern Ireland’s World Number 1 Rory McIlroy had an agreement to play at this year’s Emirates Australian Open, but refused to follow through on this commitment because event organisers refused to pay an increase in appearance costs as a result of his tournament victories in 2012. Both the report of any pre-existing agreement and requests for increased appearance fees are totally inaccurate. “I can confirm there was no agreement in place with Rory McIlroy or his management at any point for Rory to play in this year’s Open,” Golf Australia CEO Stephen Pitt said. “In addition to not having any agreement in place, at no stage were Golf Australia or tournament organisers advised by Rory’s management that his appearance costs had increased. This simply isn’t true,” Pitt said. Rory McIlroy’s manager Conor Ridge confirmed: “We would like to thank Golf Australia and World Sports Group for clarifying that last weeks reports were totally inaccurate and without foundation. Both Rory and Horizon Sports Management value our reputation for professionalism and integrity. Hence, when such inaccuracies are reported in the media we have an obligation to set the record straight”. This is the second time this year that Horizon Sports Management has seen fit to issue a media statement on McIlroy’s behalf. Keeping regular lines of communication open is always a good idea but one suspects that the media department at Horizon is going to be kept very busy for the next few years if they have to issue a statement on every spurious story published about their most valuable client. McIlroy might do well to follow the example of Padraig Harrington or even Tiger Woods and write a regular diary on his website that would reduce the number of media queries facing his management group. ie his recent house buying activities in Florida. Given his profile, he is never going to escape 24/7 scrutiny, especially when he fans the flames of interest in his off course life with a stream of tweets, not to mention the WhoSay and Facebook snippets. 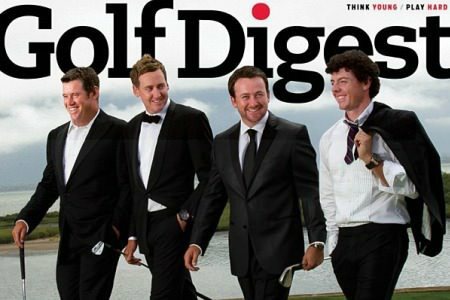 At least Horizon are not denying that McIlroy picks up the occasional fee.